A&A Awnings is one of the East Coast’s leaders in Awning & Storm Shutter installation. 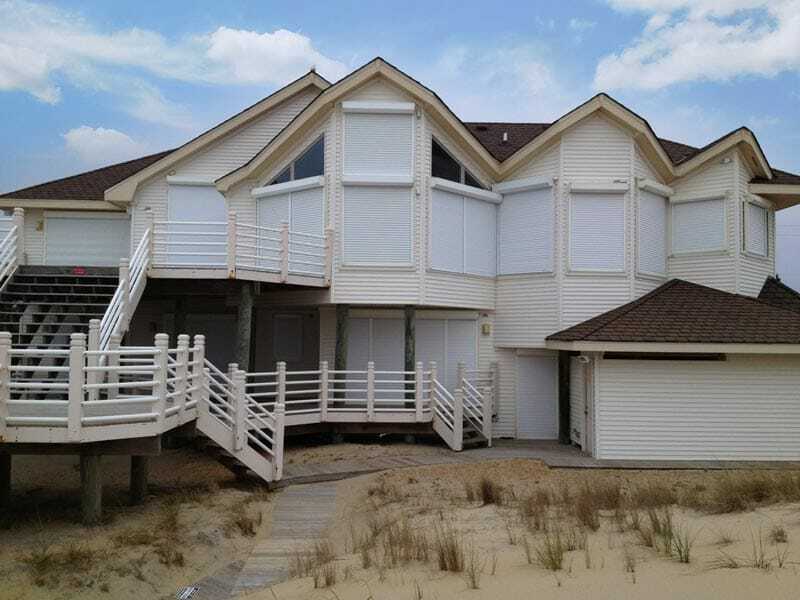 Protect your OBX home and increase its value with roll storm shutters! Give yourself peace of mind, whether you’re home or away. Storm shutters are designed to protect your family, home and business from broken glass and damage caused by storms, hurricanes and intruders. North Carolina has experienced more than their share of hurricanes, tropical storms and tough weather. The damage caused by the high winds, flying debris and wind-driven rain is devastating to homes and businesses. Don’t get caught off guard. Get the best storm protection available, and let A&A’s hurricane shutters offer you peace of mind. As one of the only in-house manufacturers of custom retractable awnings on the East Coast, we are located right here for your convenience. Retractable awnings extend your backyard fun and allow you to escape sun and rain in your own shady oasis. It transforms your backyard into an extended living area where the transition from sunny to shady is as easy as a click on your remote control of your motorized retractable awning. Have company over and let the kids spill out onto the lawn, as you enjoy a shaded retreat for you and your guests at your next cookout or outdoor party. We use only the highest quality storm shutters available with a variety of options and prices to fit your budget. We use an extra strength housing and rails, and strong slats to ensure the highest protection. All outer surfaces are powder coated after cutting, and we use stainless hardware to prevent corrosion. Choose from a large selection of slats and rails and a variety of colors to fit your style. Learn more about selecting the perfect storm shutters or awnings for your needs and budget. Give us a call today at 252-261-6446. Whatever you need—A&A Awnings and Storm Shutters has you covered. Our awnings are custom made in our factory, allowing us to offer budget-friendly prices. We are one of the East Coast’s leaders in awning and storm shutter installation. We work with you throughout your installation to ensure your satisfaction. Virginia Beach, Chesapeake, Norfolk, Hampton, Newport News, Williamsburg, Suffolk, Hampton Roads, Eastern Shore, Portsmouth, Northern VA, NC, DE, MD & surrounding areas. Proudly Serving the Entire Mid-Atlantic Region! !